15 minutes play...BumbleBeans Inc.: Member Scrap Swap sign up. Member Scrap Swap sign up. Leave a comment on this post by Monday, April 15th. 9am..
Once I send out your swap partner's info to you, you two can discuss what size of parcel. Then once you have your new scraps, make a block of made fabric from it , and post here so we can see! Yes. I have a big bin of scraps that I am tired of. A new infusion would be great ! I'm game! Am I on the list? Yes, I would love to take part in this scrap swap. sounds like fun! I don't think I'm on the list but would like to swap scraps. This sounds like so much fun. Count me in. Count me in. This sounds like fun! New scraps to play with. Just joined up (altho long time follower). Count me in on the swap. Oh yes!! I want to start playing even though I've been a member for quite awhile. 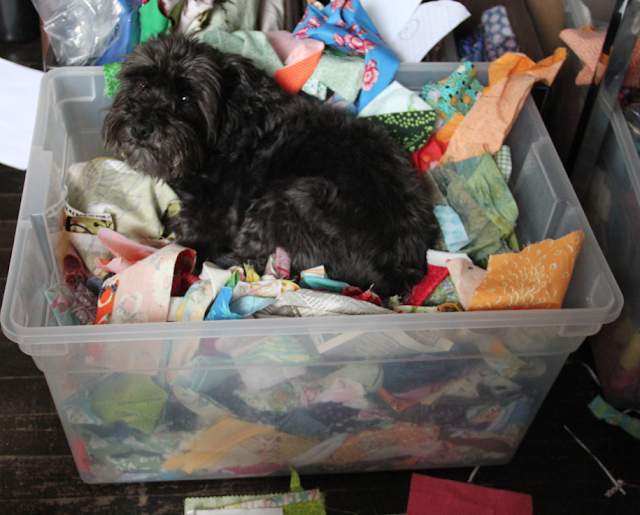 A Ziplock full of new scraps will be just the thing!! I would love to swap! Count me and my scraps in. Yes, I'd love some fresh scraps to play with! Yes Yes Yes!!! Please add me to the list. Yes I would love to take part so please add me to your list. I'm in! We've just finished redoing the sewing area and I get to restock! New scraps will be awesome. Sure ... always fun to trade scraps! What a fun idea!! Thanks for another challenge. This will be my first challenge and I can't wait! I would like to participate in the swap. Great fun! yep, sign me up! I have a ton of scraps that need to go play with someone else for a change. Yes, would love to do the scrap swap. Hey! I'm game! I have never done anything like this before, and it sounds like a lot of fun! Not sure if I'm a member I completely missed this post somehow, so had missed the call for entrants anyway. But I will keenly watch to see what folks do with their scraps........what fun!